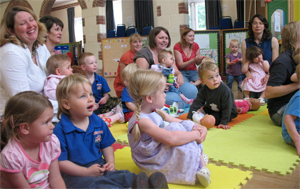 Yatton Keynell Toddler Group meets at Yatton Keynell Village Hall on Friday afternoons. This is a lovely friendly group run by Heidi and Vicky for babies and toddlers of any age and siblings under 5. Just drop in any time from 1.15 – 2.45pm. There are refreshments for parents/carers and children and lots of lovely toys to play with. Let the children play while you enjoy a drink and a chat. If you have a toddler under 2 that you would like to send to the pre-school in the future then this could be a lovely way for you to introduce your child to the setting.